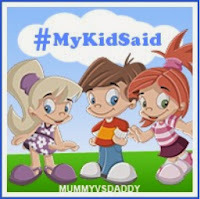 This week my, #mykidsaid post is brought to you by my sister and her 4yo Jack. J - Your make-up smells lovely! Sis - Thank you for saying I smell lovely that's a nice thing to say. J - I didn't say YOU smell lovely, I said your make-up smells lovely!